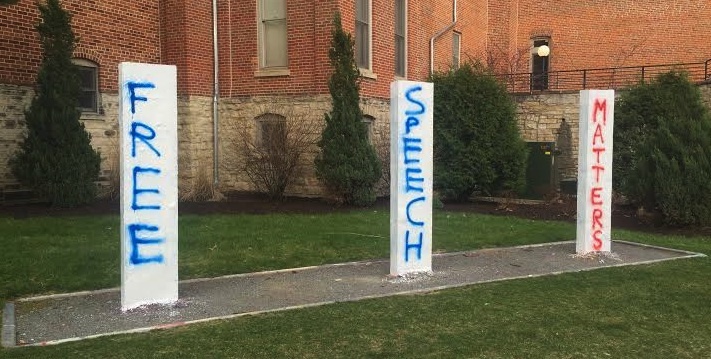 "Free speech matters" reads the writing on three posts at Cornell College in mid-April 2016. This was a response to an initial painting on April 11 that read, “Build a Wall. Build it Tall.” That initial painting was replaced with “Wall or No Wall We Stand Tall. Land of Immigrants." Support IowaWatch ‘s non-profit journalism and effrorts to train young journalists. Controversy on the campus of Cornell College in Mount Vernon involving free speech, especially about issues raised in the presidential election, drew the most attention of all the IowaWatch stories written in 2016. However, it was IowaWatch stories from previous years that gained the most viewership on our website in 2016, led by a top story from the past about whether or not feeding tubes are a good idea for elderly people. That story is still drawing attention from readers seeking information about a life-altering decision for an elderly loved one. Here are links to the most read IowaWatch stories written in 2016. Election season fueled free speech battles at several college campuses but notably at Cornell College in spring 2016, as campus administration attempted to find balance between providing a comfortable campus environment and upholding students’ individual rights to expression. Cornell hosted two public forums for students and faculty to talk about tensions on campus. This happened while IowaWatch was on several Iowa campuses gauging whether or not people try to limit speech there. 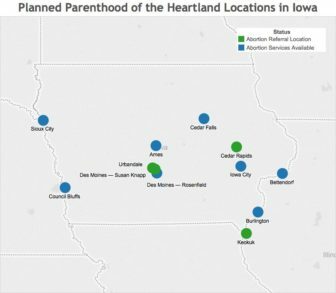 The IowaWatch project coincided with a national project on the same topic by the Newseum Institute and John S. and James L. Knight Foundation. IowaWatch participated in a one-day conference for the national effort in April and hosted an Iowa City public forum in May on the local topic. 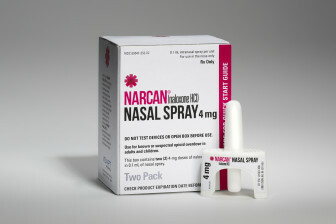 A naloxone nasal spray produced by Adapt Pharma was approved by the FDA in November. Previously only injectable forms had been approved. Many Iowans are fighting for better understanding of substance use disorders and for measures that could save the lives of people, including broader access in Iowa to an overdose reversal drug called naloxone or narcan. Iowans now have access to Naloxone, a prescription medication that can reverse an opioid overdose, thanks to a legislation passing the 2016 General Assembly after this story was published and a standing order issued by Dr. Patricia Quinlisk, the Iowa Department of Public Health medical director. 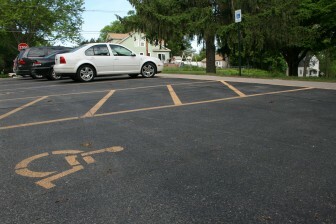 Markings and signage for a handicapped-accessible parking space and a loading zone outside a Cedar Rapids school on May 12, 2016. The majority of Iowa school districts reviewed by the Iowa Department of Education do not meet Americans with Disabilities Act standards, including problems with accessible routes to the school, parking accessibility, and a lack of handicap bathroom stalls. Despite an increase in accessibility to abortion services, the number of abortions has decreased significantly since 2010. Some possible reasons could include an increase in contraception use, reproductive health care education, fewer teen pregnancies, and more. 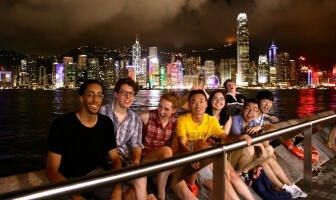 Mandy Gavin (the fourth person in from the right) went to see a light show with her friends in Hong Kong in summer 2015. They randomly asked someone who passed by to take this photo. A number of news reports have revealed difficulty Chinese students have in acclimating the United States. However, few realize that some students from Iowa face similar concerns when studying abroad in China, with the biggest problems primarily being language and cultural barriers. The most-read stories IowaWatch from 2016 included a look at free speech rights on college campuses, legislation covering medication to treat drug overdoses and the Americans with Disabilities Act. The IowaWatch Connection radio program brings you up to date on those stories and reveals behind-the-scenes information on how they came about.